HelpMaster has been designed to streamline your helpdesk and service management initiatives and improve overall business efficiency. It does this by allowing you to support your different clients in different ways, and build workflow patterns based on the needs of your business. Whether you need a corporate knowledge-base system, an email response management system, or a comprehensive and flexible call logging system, HelpMaster delivers a complete package of helpdesk tools in one integrated suite. HelpMaster is the only helpdesk system available that utilises a 3-tier template system that allows the helpdesk to create customized workflows that incorporate Jobs (incidents), with Actions (tasks) and Outgoing correspondence, or email. By using this powerful template system, you can configure HelpMaster to manage all of your helpdesk and support needs. Perpetual + Monthly licensing available. Choose which option suits your budget best. See website for a comparison between each edition. Time and Expense billing. Track time, money and costing. Provide quick and easy call logging. Each call that is logged can be managed via custom workflow rules that you define. Email Templates provide "canned" responses for all out-going email types. Embed "email tags" in outgoing email that provide context and related information such as hyperlinks to web portal etc. Active Directory module provides single point logon. Never deal with the logon screen again! Microsoft SQL Server database provides powerful enterprise class database platform. Full database dictionary is available. Includes many reporting views and queries ready to be used by custom report writers and developers. Below are some frequently asked questions for HelpMaster. Q. What type of pricing plans does HelpMaster offer? Q. Who are the typical users of HelpMaster? Q. What languages does HelpMaster support? Q. Does HelpMaster support mobile devices? Q. Does HelpMaster offer an API? Yes, HelpMaster has an API available for use. Q. What other apps does HelpMaster integrate with? Q. What level of support does HelpMaster offer? Q. 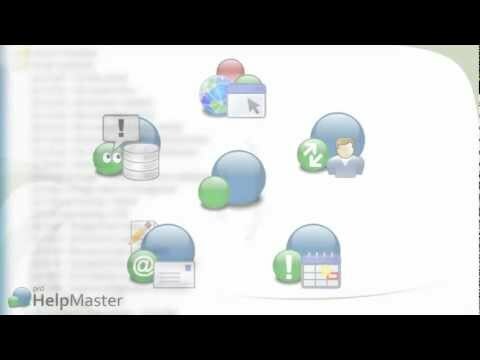 Which apps is HelpMaster compared to most often?